Dell has another laptop on the market, and this one is a definite step up from the previous one. The XPS M1530 is Dell’s newest laptop. While you may not be in the market, you should definitely look in to this computer. There are different upgraded versions of this computer that you can buy, or you can customize it to your exact specifications. The base model of the M1530 comes with the Intel Core 2 Duo T6600(2.2GHz/800Mhz FSB/2MB cache). The M1530 also comes with Windows Vista Home Premium, the newest installment in the Windows Operating System. If you’re worried about how this computer will run, then stop it. The M1530 comes 4GB shared Dual Channel DDR2 SDRAM at 667MHz and a 320GB 5400rpm SATA Hard Drive. If you want to play games or videos, then you will be happy to know that the M1530 comes with a 128MB NVIDIA GeForce 8400M GS video card. While this is not the greatest card out there, it will do a pretty good job. If this doesn’t satisfy you, you can always upgrade to the 256MB NVIDIA GeForce 8600M GT. The M1530 comes with a slot load DVD+/-RW(DVD/CD read/write.) and comes with Dell wireless1395 802.11g Mini card. The XPS M1350 has nice visuals. It has a glossy LCD widescreen 15.4inch(1280×800) display and comes equipped with a 2.0 megapixel camera. With the display you can view stunning visuals on the M1530. It is definitely great to look at. 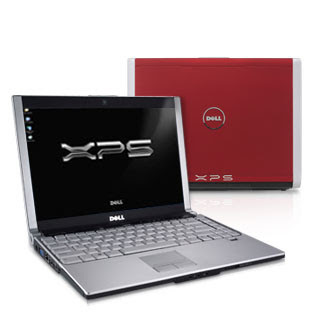 The XPS M1530 also has a 56 WHr 6-cell Lithium Ion Primary Battery for extended use. Needless to say this laptop is definitely the type of machine you would expect from Dell. Dell has long since been a quality computer manufacturer. With all the features that come with the M1530, added to the upgraded versions and the multiple customization options, you can be sure the Dell XPS M1530 is a computer well worth your time and money. The base model described here will run you around $999. If you want to to go with the up graded version, you better be prepared to cough up another $200 as the price goes up to $1,199. Check it out if you are in the market for a new computer, it is well worth it. Previous Post: Worlds Cheapest Laptop. I’ve owned the 1530 for about 5 months now after having my previous HP Pavilion dv6000 blow up a little after 14 months of use. Two years ago I thought the Pavilion was much better than anything Dell had to offer. But it appears Dell’s are more reliable than HP. I owned a HP desktop and had a good experience (I suppose you can call it that) after 2 years with it. So HP was the obvious choice. The morons sold me a defective product with the HP Dv6000. Weeks of back and forth with HP customer support and the wireless motherboard was faulty in addition to other problems. It was a freaking nightmare and this happened on Halloween 2009. I kid you not! As is such, I will never buy another HP product again. Absolutely horrible! Anyway back to the XPS 1530. My major quibble is with the keyboard and the touchpad which sometimes can be non-responive. This is a gaming computer but my room setup is such that its completely pointless to try and play any games plus I’m sure a high end games that require special, expensive graphic cards and bandwidth speed sucking for online gameplay would not work either. The keyboard is flimsy compared to anything I’ve used before but overall it loads quickly compared to previous, lower end Dell PCs. No problems with it YET. But I’m backing everything up as I move along and not installing any taxing programs or games that require tons of memory. I purchased an XPS M1530 and it has been a complete nightmare. The first one was defective and this was discovered two weeks after receiving it. Dell figured out something was very wrong. They tried to pawn a refurbished on me which did not wash.
My case was mishandled and when I received the second one, I also had problems with a nonresponsive touchpad which continues. The programs I bought were never on the second XPS and even after they were downloaded, they never worked. Neither did the cash credit!! DO NOT BUY DELL!! I have for years but now I must admit that they have outsourced their product and service. I recently ordered a Dell XPS M1530 fully configured in Tuxedo Black, but they switched my order to Pink and won’t let me cancel the order. I have screenshots to prove it shouldn’t be black but they’re shipping me the pink one anyway. This doesn’t seem right, and now you can’t even order a Tuxedo Black, it’s either midnight blue or pink. What’s going on here? Very frustrating.